Michael B. Jordan is ready to get back in the ring in the first poster for Creed II. MGM and Warner Bros. released the first teaser for the upcoming movie sequel on Tuesday, which features a shirtless Jordan preparing for his next fight. 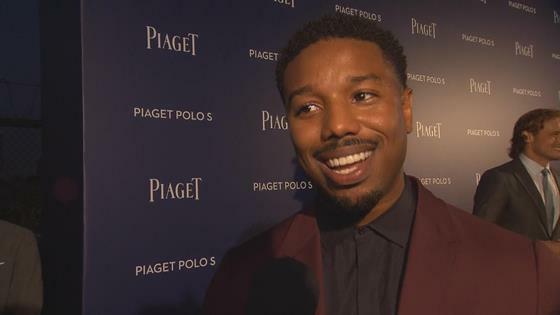 Jordan returns as Adonis Creed in the film, set for release on Nov. 21. "Life has become a balancing act for Adonis Creed. Between personal obligations and training for his next big fight, he is up against the challenge of his life," the official synopsis for the movie reads. "Facing an opponent with ties to his family's past only intensifies his impending battle in the ring. Rocky Balboa is there by his side through it all and, together, Rocky and Adonis will confront their shared legacy, question what's worth fighting for, and discover that nothing's more important than family." Michael B. Jordan Teases Creed Sequel: "You Kind of Want to See How They Turned Out"
Michael B. Jordan Teases "Creed 2" & "Black Panther"
Sylvester Stallone returns as Rocky Balboa in the movie, which also stars Tessa Thompson, Wood Harris, Russell Hornsby, Florian "Big Nasty" Munteanu, Andre Ward, Phylicia Rashad and Dolph Lundgren. Back in 2016, Jordan teased the Creed sequel during an exclusive interview with E! News. "The way those characters kind of left off and the way you want to see how they turned out—that new family between Adonis and Rocky formed with Bianca—you kind of want to see how that plays out," he shared at the time. Check out the movie poster above and be on the lookout for the first official trailer for Creed II, which drops tomorrow!